The most common response I get when I tell a distant cousin or new acquaintance that I teach African politics remains the pithy one-liner, “Oh, I didn’t realise Africa had any politics!” Several centuries of Henry Stanley, Joseph Conrad and Band Aid (Bono, Bob Geldof, et al: African Christians and probably most other people living on the continent do most definitely know it’s Christmas) have created a public consciousness about a continent of over 50 states that coheres around violence, disease and poverty. Imagine my surprise then when in the immediate aftermath of the 2007/08 financial crisis that predominantly impacted Europe and North America, a plethora of books and magazine front covers dedicated themselves to Africa’s ‘rise’, talking about the continent in sunny and often dazzlingly optimistic terms. Not even a decade earlier these same front covers had been dedicated to Africa’s supposed brutality, the Economist infamously labelling Africa ‘the hopeless continent’, whilst prominent US journalist Robert Kaplan had written of the continent as exemplifying the ‘new barbarism’ of the ‘coming anarchy’. As I read through this more positive coverage, it became clearer to me that this was not simply an economic response to the crisis in the West. Whilst viewing Africa as a potential site for what the Marxist geographer David Harvey has called the ‘respatialization of capital’ in the aftermath of capitalist crises, it was also apparent that the various investment guides, cultural festivals, international donor conferences and book-length celebrations of Africa were riddled with anxieties that went well beyond economic meltdown in the West. With rising GDP rates, Africa was being presented not simply as the saviour of Western neoclassical economic orthodoxy, but also, with increasing numbers of elections and a youthful population, as the saviour of Western liberal democracy, plunging European birth-rates, and general Western civilisational vitality. In the book I’m publishing with Cambridge University Press, I round all of these anxieties up as being fundamentally related to race, and specifically Whiteness. 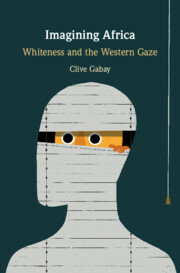 I was drawn to framing the book through Whiteness because of the work Whiteness can do in drawing together various strands of scholarly work that have sought to underline the ways in which imaginations of international order, and the place of different regions within that order, are framed by, for instance Eurocentrism, or Anglocentrism. What I argue in the book is that at heart, these kinds of standpoints are really embedded in racial and gendered characteristics. 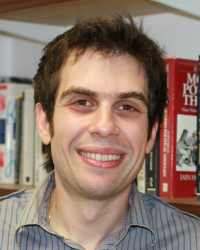 In other words, when John Hobson argues that Europe is imagined in the West as having endogenously bequeathed the world an ‘exceptional institutional genius’, what we are really talking about is the imagined endogenous genius of a small collection of elite white men and women (but mostly men). As such, anxieties about Western economic or political orthodoxy are not simply eurocentric navel-gazing, but part of a much broader set of concerns about white racial vitality, concerns that have become more fully articulated in recent years on the right and far-right. However, although very evident on the right, these anxieties have also been historically evident on the liberal-left, from where all of this recent Afro-optimism emerges, and who, the book argues via a series of historical and contemporary case studies, have long used Africa as a vehicle for concerns regarding white-western civilisational vitality. The difference between the liberal-left and the right/far-right, is that the former have historically proven far more willing to retain optimism in the ability of white civilisational genius to thrive beyond the West, in Africa specifically, than their right-wing counterparts (exemplified best perhaps best by Donald Trump’s infamous ‘American Carnage’/’Shithole Countries’ dualism). What unites these two camps is the inability/unwillingness of both to engage in an honest appraisal of European and Western history, and the exogenous factors (i.e. slavery, Imperialism and settler colonialism) that created the conditions of wealth and abundance that increasingly came to characterise the West, especially after World War Two. Whereas the right tends to dismiss the relevance of this history, the liberal-left recognise it but retain a belief that the systems bequeathed by that history (i.e. the colonial and slave labour that created enough wealth in the West to sustain post-War welfare policies for non-enslaved/colonised populations) were still largely the product of an intellectual and innovative genius endogenous to white people in the West. It is therefore no contradiction for liberal left commentators on Africa to suggest that it is both possible and desirable to export (more than occasionally via military intervention) a system based on historical dispossession to parts of the world that, as Alison Ayers has argued, have their own traditions of democracy and social organisation. As such, it is the liberal-left, as much as the right, which bears responsibility for the myths of endogenous white historical genius that still pervades popular public political discourse, and which feed populist nationalist and nativist politics in the current conjuncture. The case studies in the book view periods of Western crisis over the past century, and tell an unfolding story of how over time liberal anxieties about whiteness have seen Africa move from, prior to World War Two, a place where white civilisational vitality might be saved from white people in the West, by liberal white settlers in Africa, to a place where Africans themselves become invested with the agency to safeguard whiteness from a disintegrating West. The popular Nigerian novelist Chinua Achebe once said that ‘Africa is to Europe as the picture is to Dorian Gray’. With this book I argue that it is the liberal enclaves of the White-West that imagines itself in the picture, hoping to see their legacy preserved in the ever-youthful and vibrant ‘Africa’ that peers at the wizened and corrupted image before it.